Whilst the majority of companies put considerable effort into constructing the message on Point of Sale packaging, less thought is generally given to the information that is shared on the cardboard box used for transporting goods. When it comes to marketing, we are regularly told that we need to promote the benefits of our products and services. Consumers don’t want what we sell; they want the advantages that those items bring. As an example, we might not want to buy healthy meals full of fresh fruit and vegetables, but we do want the benefits of looking good and feeling energised. One of our customers Chop Healthy, are well aware of the positive impact a healthy diet can have on our lives. Beyond feeling confident around the pool on holiday, they are keen to promote the life changing effects of eating fresh, unprocessed and nutritionally rich meals. So where are they sharing these benefits? It’s fair to say they are making the most of any opportunity and that includes on their packaging. We’re often asked to print text as part of our box manufacturing process: ‘Handle with Care’, ‘Fragile’ and ‘This Way Up’ are popular examples. 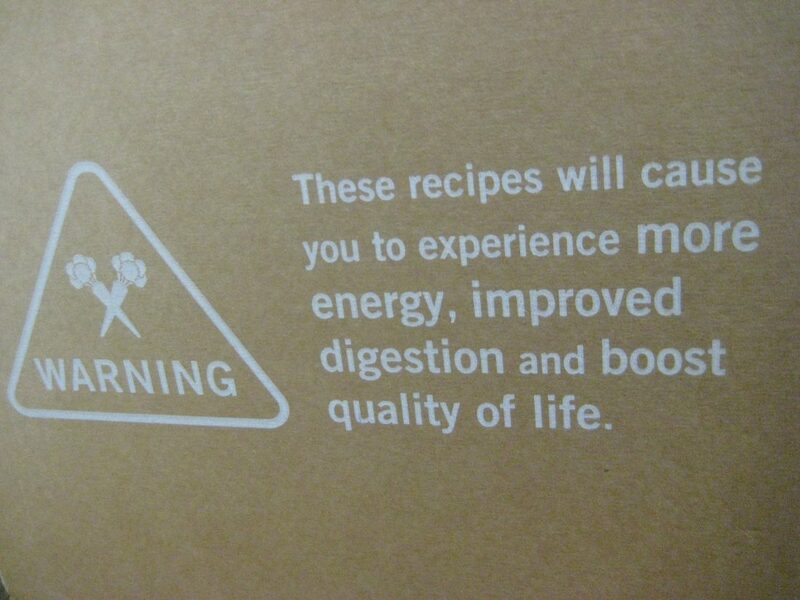 The request from Chop Healthy was more original; they wanted their cardboard boxes printed with ‘Warning. These recipes will cause you to experience more energy, improved digestion and boost quality of life’. The ‘Warning’ symbol attracts attention and then the benefits of their meals are clearly communicated on their printed boxes. Is it time for you to get a little more creative and used printed text to market the benefits of your products? You can learn more about the benefits of cardboard packaging here. A common barrier to eating well is the time it takes to prepare a meal from scratch. Chop healthy deliver the exact ingredients needed (with recipe cards) to make it quick and easy to cook delicious dinners. They deliver to your door and use food quality Woolcool insulation inside the cardboard boxes to ensure that the ingredients remain fresher for longer. So if you are looking for a convenient way to eat well and feel great, the benefits of Chop Healthy are clearly presented on their boxes!